GENM rebound from RM3.52 support. 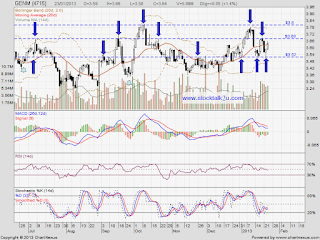 Will it break through RM3.68 resistance level? Stochastic %K tigger BUY call, pending confirmation. Immediate resistance @ RM3.68 level. If able break through, will retest RM3.80 level. 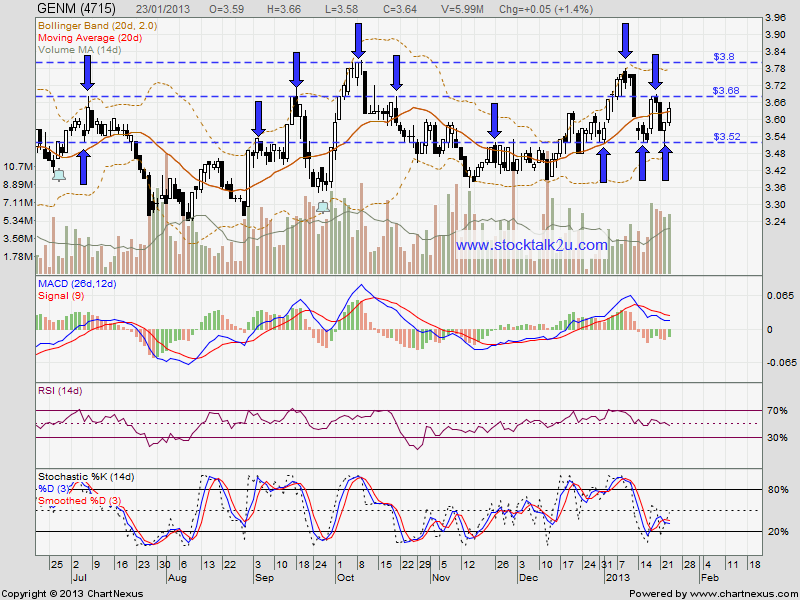 Immediate support @ MA50 / MA100 which is RM3.52 level.